Does this mean that they were cannibals? No. 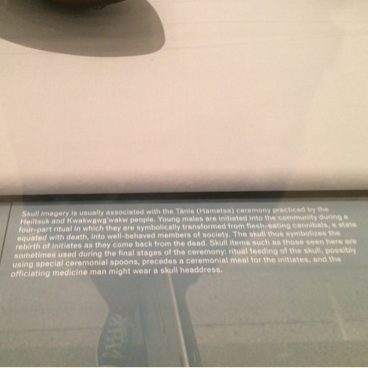 These skulls, especially the Ladle with Skull, were actually utilitarian objects. 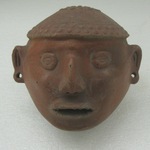 Combined this object would have been used in a ceremony of rite of passage. To symbolize that a young man was leaving behind the "uncivilized and untamed nature" and become a mature, sophisticated person. 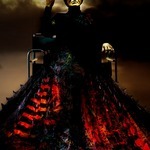 The skull symbolizes the rebirth of initiates as they symbolically come back from the dead as part of the ceremony. 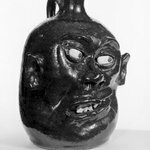 The head which is made of wood and other materials, would have come off, and they would used the spoon to scoop oils used during ritual from a big container to use during the ceremony. 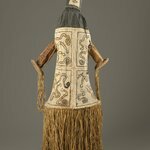 The other skull is actually worn on top of a shaman's head during the ceremonies. How is the hair attached to this? That's real fur on both heads, the big skull and the smaller animal head and they would use a glue made from boiling animal sinews. 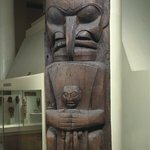 Were the Heiltsuk and Kwakwaka'wakw people cannibals? No, they were not historically and are not today. 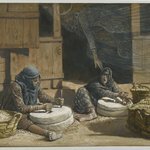 If cannibalism was a form of death, was eating meat of other animals as well? Not especially, no. 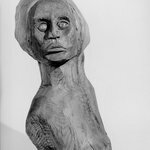 The objects you see are used in ceremonies as a symbolic representation a person being reborn by entering the next stage of his or her life. Was someone killed to make this or is it wood? I can see why! 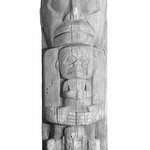 However, this would have been used in initiation ceremonies for the Heiltsuk First Nation. 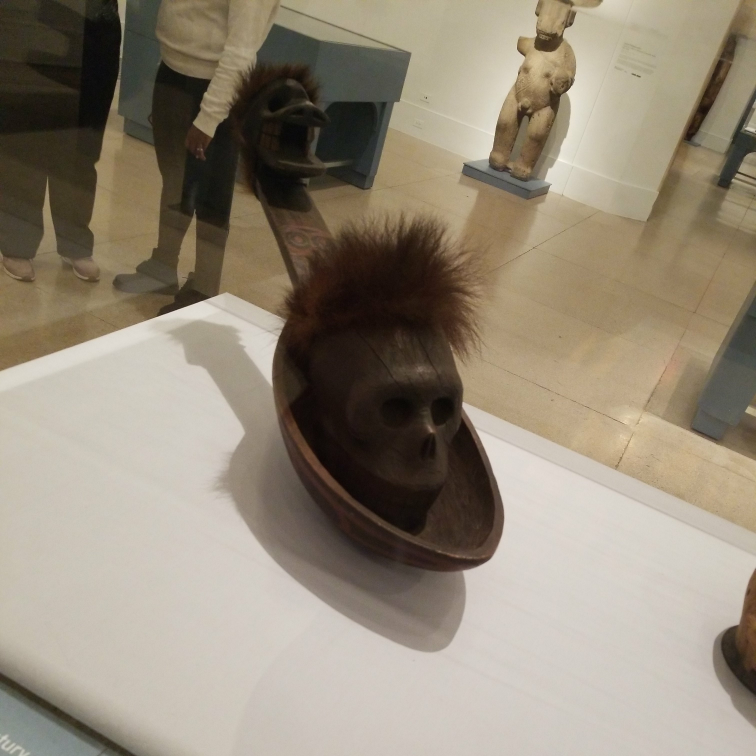 Skull items like these were sometimes used in the final stages of a ceremony where young men are initiated into the community by being symbolically transformed from "wild" cannibals to proper members of society. It's actually bear fur! 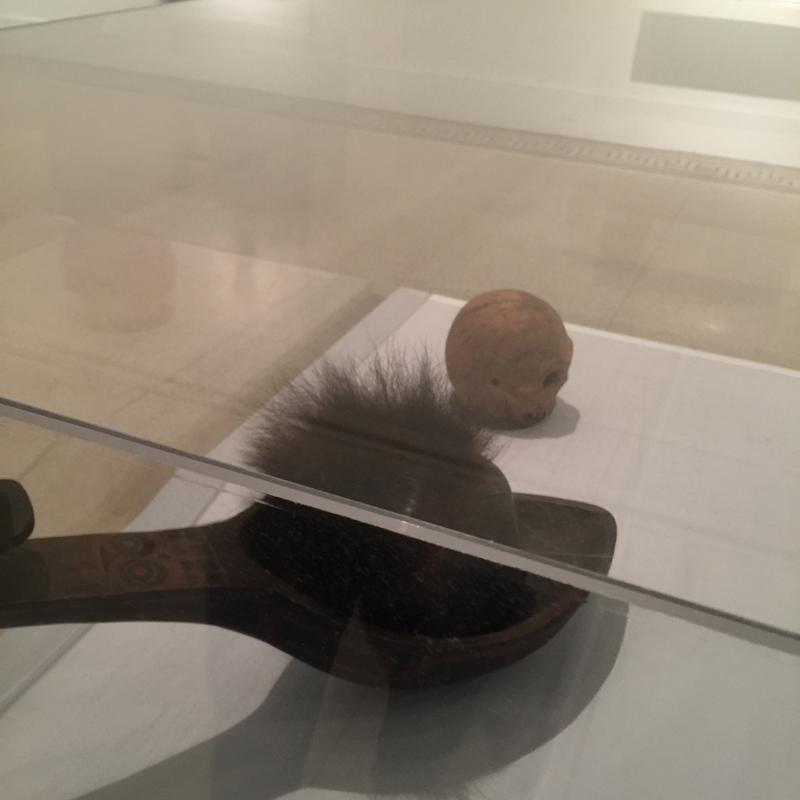 The object is made of wood with fur and paint on parts. 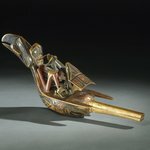 The Ladle is a ritual object created by an artist of the Heiltsuk First Nation. It would have been used in ceremonies that focused on the transition of young men into adulthood. 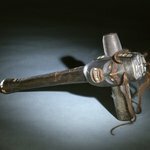 This ladle would have been used in winter ceremonies by the Heiltsuk who live in British Columbia. 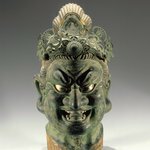 It is distinctive for its depictions of multiple skulls and faces (in the bowl, the skull-like head carved on the handle, a skeletal face painted on the handle, and an additional face painted on the bowl's exterior) and the large size of the ladle. 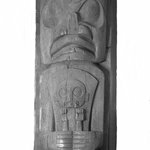 Skull imagery is usually associated with the Tánis (Hamatsa) ceremony practiced by the Heiltsuk and Kwakwawa’wakw people. 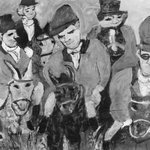 Young males are initiated into the community during a four-part ritual in which they are symbolically transformed from flesh-eating cannibals, a state equated with death, into well-behaved members of society. The skull thus symbolizes the rebirth of initiates as they come back from the dead. 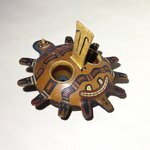 Skull items such as those seen here are sometimes used during the final stages of the ceremony: ritual feeding of the skull, possibly using special ceremonial spoons, precedes a ceremonial meal for the initiates, and the officiating medicine man might wear a skull headdress. 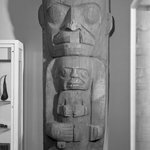 La imaginería de calaveras está usualmente relacionada con la ceremonia Tanis (Hamatsa) practicada por la gente Heiltsuk y Kwakwaka’wakw. 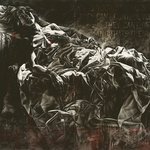 Los hombres jóvenes son iniciados a la comunidad durante un ritual de cuatro etapas en el cual son transformados simbólicamente de caníbales devoradores de carne, a miembros con buen comportamiento dentro de la sociedad. La calavera simboliza el renacimiento de los iniciados cuando regresan de entre los muertos. 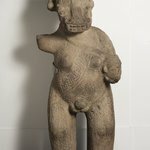 Artículos de calaveras como los que se ven aquí son a veces usados durante las últimas etapas de la ceremonia: antes de la comida ceremonial para los iniciados, se alimenta ritualmente a la calavera, posiblemente con cucharas ceremoniales, y el hombre medicina que oficia dicha ceremonia puede llevar un tocado de calavera. 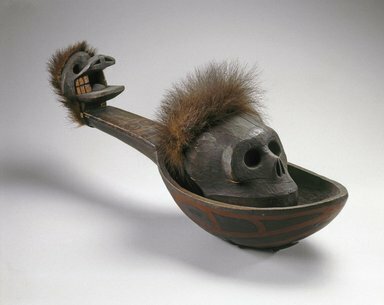 CATALOGUE DESCRIPTION The object is a large carved wooden ladle (a), decorated in black and red paint, with a separately carved wooden skull (b) nesting in its bowl. 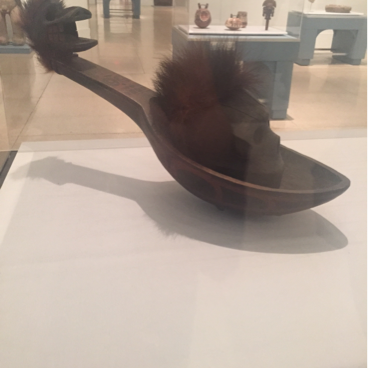 At the end of the ladle's handle is an animal head. 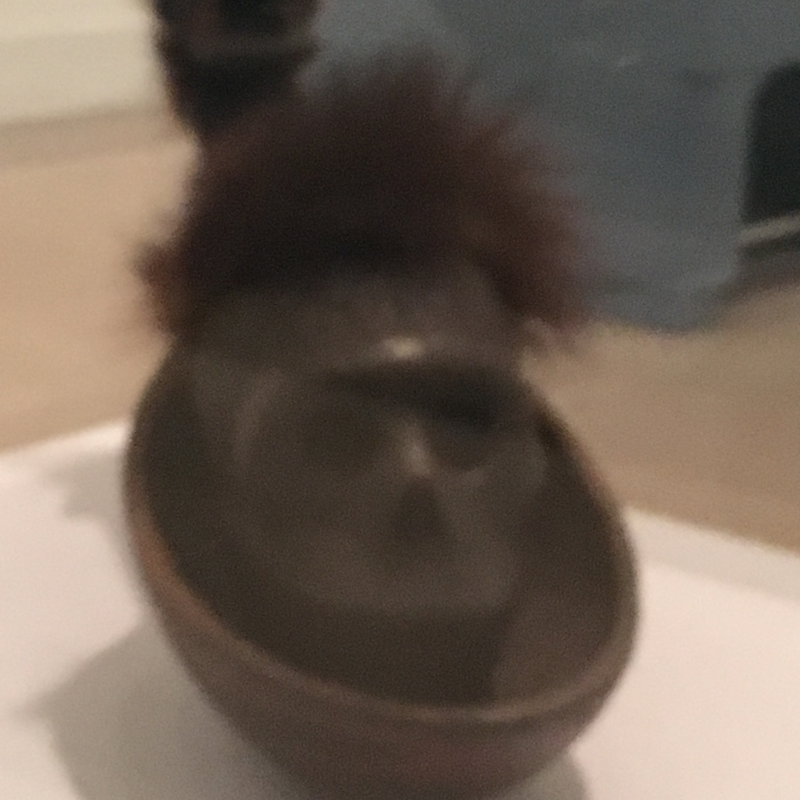 Both skull and animal head have pieces of fur attached.